etsy | A creative life tangled up in lovely yarn! I knit, and knit and sometimes people see what I make and they like it! That makes me happy! 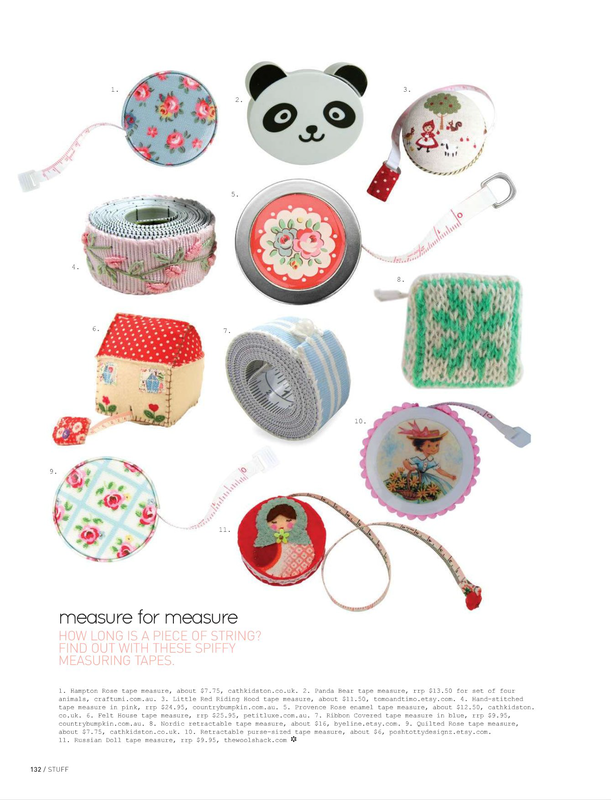 This time it is my retractable tape measure with a knitted cover that has been spotted. 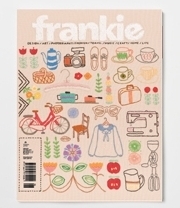 And it has been spotted by the super cool Australian Frankie Magazine! Spot the knitted one! It’s the white and green number 8. I have several designs and you can see them all in my Etsy store By Eline.